Even though the hottest season doesn't officially begin for another few weeks, it's safe to say that Memorial Day Weekend is the unofficial kick off to summer in South Florida. The sun is shining, school's out of session, and it's time to get out of the house and enjoy some fun outdoor activities this summer. 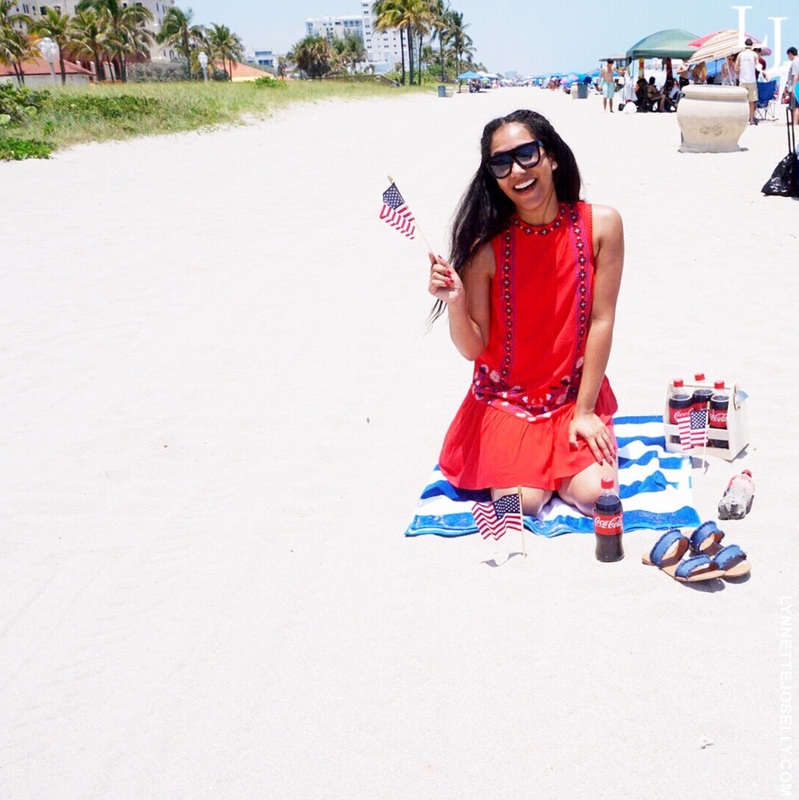 I have wonderful childhood memories of long summer days at Hollywood Beach so I decided to team up with Coca-Cola™ and Target for a fun summer beach trip. So grab your swimsuit and beach towel because we are off to explore a variety of outdoor activities and adventure! Super Cute Swimsuits You'll Actually Want To Wear This Summer. First and foremost, I love that Target's swimwear collection has a variety of styles including two-piece, one-piece, tankinis, bikinis and more. With so many cute fun prints you will be sure to find a flattering swimsuit for every body type. Don't forget to pack your sunscreen and hit the beach in style with their cute summer totes, sandals, cover-ups, and more. It's a one stop shop for your whole outfit, well pretty much your entire beach trip. Beach Products You Absolutely Need This Summer at Target. The latest summer trend has been popping up all over your Instagram feed, and no I am not talking about a chic pair of sunnies or a straw wide brim hat. I am referring to those giant inflatable pool floaties! Whether it's a swan, a unicorn, or in my case a huge popsicle, Target has these pool floats for less than $20. And of course you still need your basic beach essentials such as a lounge chair, umbrella and an ice cooler to keep your Coca-Cola nice and cold. Things To Do in Hollywood Beach Boardwalk. The main reason I picked this beach was for the fun boardwalk activities. You can rent a bicycle for the day and spend some time cruising alongside the ocean. They have different types of rides such as roller blades, low riders or the bike limos where a few family members can peddle along, talk about a fun workout all while sight seeing. To make the family feel a little extra special we Shared an Ice Cold Coke featuring not only first names but last names as well. 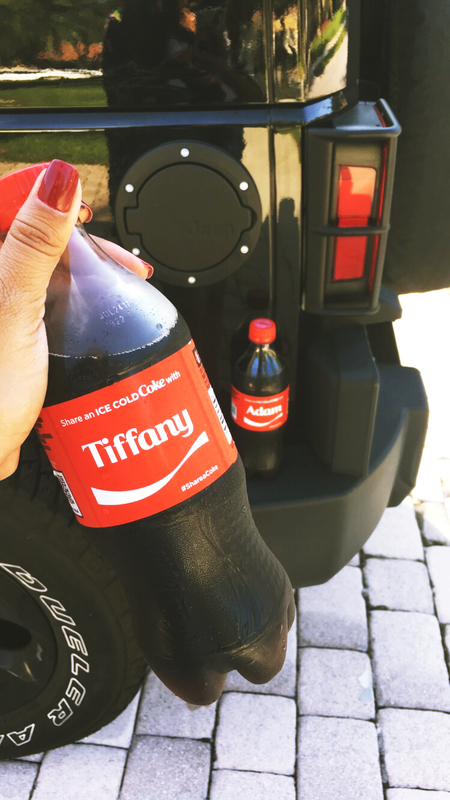 Being that some of our first names are not that common, we were excited to find a few of our last names featured on the Coca-Cola bottles. As you can see Target has everything I need. I didn't have the time to stop at three different stores to get my shopping done before the summer beach trip. So if I need a swimsuit, a fedora and some Ice Cold Coca-Cola bottles not a problem because I know Target has my back. And the good news is if you download the Cartwheel app on your smartphone you can enjoy 20% off Share A Coke 20oz Bottles, and if you have the Target RedCard you can save a little extra as well! What fun plans do you have to create new and exciting summer moments to enjoy with your family and friends? Click to check out some inspiring ideas here. It's really important that you have everything you need before going to the beach. Of course, Summer is better with a bottle or two of Coca Cola! It's so refreshing! I am always packing so much to take to the beach. My kids seem to always need SOMETHING lol. Snacks and drinks are the most important, and cokes are always nice to have! We just bought a giant pool float at Target last week too. Can't wait to use it. I love the names on Cokes...so cute. I love Target! I haven't been in way too long-need to make a trip now! And Cokes are something I always have on hand when we head to the beach! I love Target and love your dress! Cokes are so refreshing on a hot summer day. We might find out first names on the bottle, but definitely not our last! Personalized Coke looks like so much fun and I will save the bottle. I have to check out Target for this years suit after I work out a little more. Target is a cool place to shop for everything that you need. It's definitely where you want to go before hitting the beach! I think Coca Cola is always something that you should have during the summer! I love the name bottles! They add such a fun touch! I also like that little bottle holder you have there! What a beautiful beach! I don't have a pool but I'm obsessed with the fun floats I see everywhere. They do pair nicely with an ice cold Coke. I always look for my name on a Coke bottle. I would love to see it happen since I don't have the most common of names. Cherry coke and coke zero are my favorite! I know they aren't great for me but I still love them! This sounds so cool! I am very excited for this summer. I can't wait to have a dip in the pool! I love their share a coke campaign! I have yet to see a Chelsea, though! Nothing beats coke especially on Summer! My throat will always long for it's taste! P.S I always love Coke's ads and campaign! I am so jealous of your warm weather! We are still having cold days here in PA! Your beach day looks so fun and the Cokes make it so much better! I'm in Florida too! Love those beach vibes and sharing a Coke with others! Looks like you have a blast! Im just the Cokes definitely helped with staying cool. They are one of my favorite drinks!